The next coffee morning will be held at the home of Rita Twine, Lacy Gates, on Thursday 8th February between 10.30 and noon. Come along and enjoy the friendship of your neighbours over a cup of coffee. Both walks start at 2pm from Longmead House and dogs are welcome. They are followed by tea and cakes. Volunteers are needed to lead future walks, as I shall not have time when the gardening season starts in March. Any offers please to Wendy Ellicock tel. 720386. We are blessed in Hampshire and neighbouring counties with many long-distance footpaths, often passing through areas of outstanding natural beauty and historical interest. A small group from the village has been walking some of these paths in recent months, usually two walks a month. As a rough guide, in the winter, with shorter hours of daylight (not to mention the weather), we walk between 10 and 15 miles; as daylight lengthens we walk 15 to 20+ miles, usually with a pub lunch. The next walks are planned for 1 Feb and 15 Feb. If anyone is interested in putting a few miles away, please give me a call (720386). Happy new year to all our members and helpers. The new year of KidzZone Club nights kicked off on 10th and 24th January. Two new members joined at the first Club meeting, and immediately joined in the games, met their friends, and got started making new ones, with great enthusiasm. The KidzZone has its own website now. It will be a place for news and views of what's happening at Club; also, if Club members wish to use it to post their comments or state a point of view about Club, that will be possible. Let Club Leaders know what you think. Meanwhile, take a look at www.longparish.org.uk/kidzzone. Club meets in February on 7th and 21st at 7:00-10:00 p.m. at the Village Hall. Longparish's 11 - 18 year olds, and friends, meet fortnightly on a Wednesday and new members are welcome to join. When news of the death of Princess Diana breaks, HRH Queen Elizabeth II retreats behind the walls of Balmoral Castle with her family. As the unprecedented outpouring of emotion grows ever stronger, Tony Blair, newly elected as Prime Minister, must find a way to reconnect the beloved Queen with a British public desperately in need of reassurance. The Queen draws on scores of interviews for its intimate and revealing portrait of a family in crisis. Helen Mirren won the award for Best Actress and Peter Morgan for Best Screenplay at the Venice Film Festival. Tickets available from the village shop or on the door. We strongly recommend that you secure your seat by booking in advance for this highly popular screening. 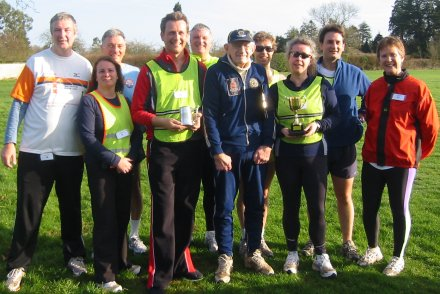 The sun shone on the runners for the January Second Sunday Handicap Race. Jack Ellicock has kindly given a cup for the most improved lady and a mug for the most improved gentleman. This time the trophies went to Fiona Gould and James Field. The next race is Sunday 11 February starting at 10am at the Cricket Ground. Please do come. There's no need to be a super-athlete. We have runners of all abilities who take anything from 20 minutes to 40 minutes for the three mile course and the handicap system gives everyone the same chance. Supporters of all ages are also very welcome.